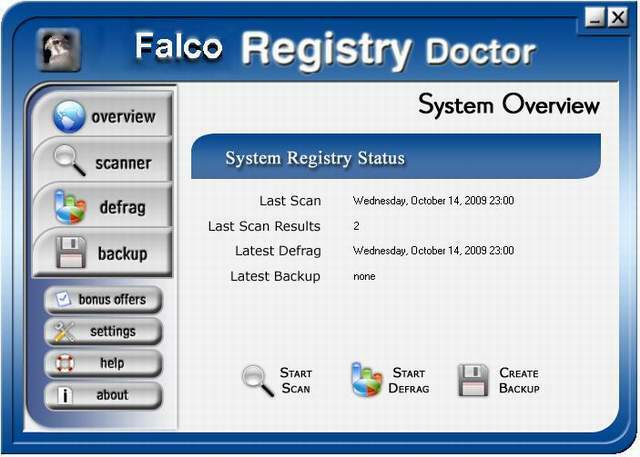 Falco Registry Doctor allows to scan your operation system\'s registry, find errors and fix them quickly. Making your system work correctly. Falco Registry Doctor allows to scan your operation system\'s registry, find errors and fix them quickly. Making your system work correctly. Don\'t worry about work ability of your operation system, Falco Registry Doctor will make it for you!